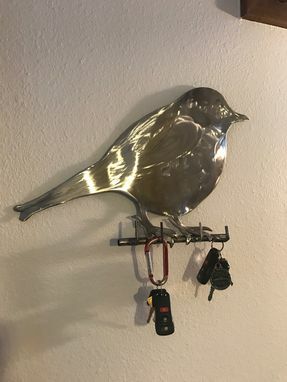 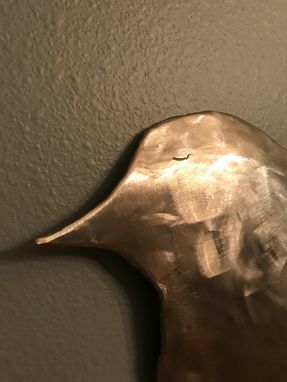 Heavy gauge steel bird key hook/wall hanger. 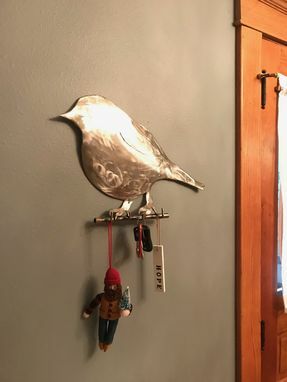 Steel picture hangers on the back keep it securely on the wall. 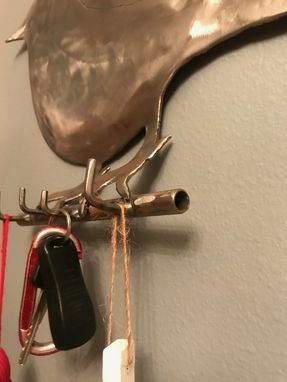 Typically used for your key rings but will hold just about anything. 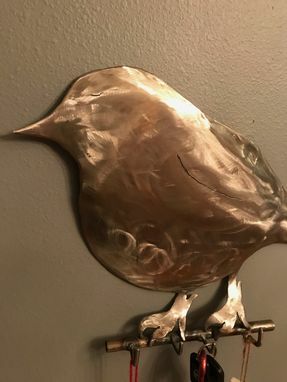 Clear coated for rust protection but can be unfinished if you prefer.